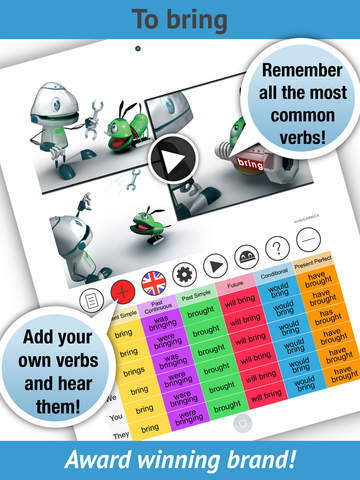 Welcome to 'English Verbs Pro' the FULL version of our award winning LearnBots App. 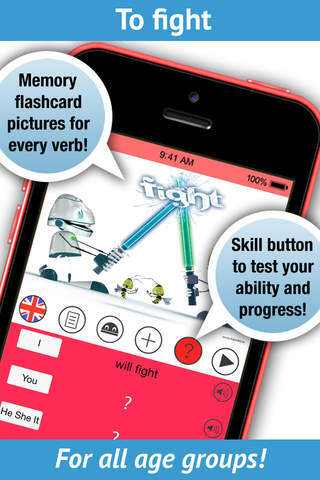 This App is the perfect 'Kick-Starter' for you to learn all those difficult English verbs and important conjugations. 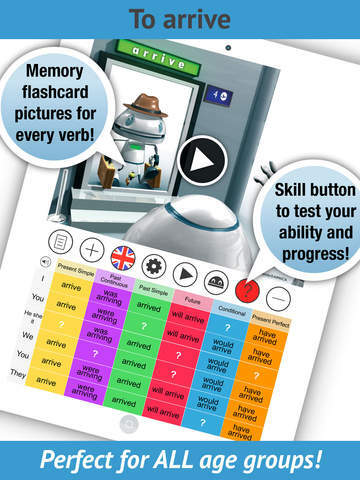 With it's highly stimulating and 'Multi Award Winning' memory system' it will show you how to learn English verbs and their key conjugations 7 times faster than any other traditional method. Also with it's full pronunciation from a native speaker and the ability for you to add thousands of extra verbs and conjugations this App is perfectly suited for students at all levels! !